Junior genomicists in action. Photo: Leah Ahmad. Today is DNA Day, commemorating the day the structure of DNA was published in 1953, as well as the day that the human genome project was completed in 2003. Being the 65th and 15th anniversary of these two scientific milestones makes it a good time to reflect at how DNA sequencing has gone from an enormous Manhattan-project like endeavour, to where it has democratised to such an extent that it can now be carried out by citizens of any age. Bauhinia Genome is a perfect example of this, where our efforts have utilised crowdfunding and the power citizen scientists and students, and used as an example to educate the general public on the implications of the genomics revolution, to make better and more informed decisions in an area that is increasingly changing our lives in the 21st century. We’ve done this part through education and outreach (see more in this blog), going into schools, makerspaces and other venues promoting popularisation of science such as Nerd Nite. While we’ve taught classes to year 6 (11/12 year old) and A-Level (16/17 year old) students, we’d not worked with really young children who hadn’t formally studied biology and covered any modules on DNA. This month we were invited to work with a wildlife obsessed group children in Pui O village on the delightful island of Lantau, so thought this was a good opportunity to test out some of our more hands-on exercises such as bauhinia cooking, some #BauhiniaWatch flower spotting in the field (collecting “phenotype” data is always useful), and also have fun letting them try out a DNA extraction on some fruit (team strawberry took on team banana). Team strawberry versus team banana in the DNA extraction stakes. Photo: Leah Ahmad. Bauhinia spotting in action. Photo: Leah Ahmad. It was difficult to tailor things for an age range starting from 5, but the majority of the group were 7 years old. The open teaching materials (see OER commons) we created for 11/12 year old students were a bit advanced for this group, but they really enjoyed the DNA extraction (squishing things is always fun), and we set the scene a bit before we took the children out to spot the different species of bauhinia we have in Hong Kong. 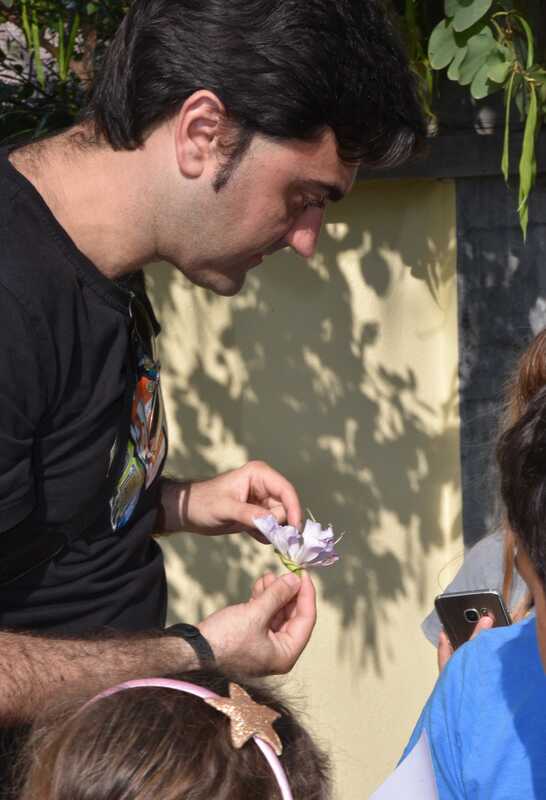 With our team of junior scientists to hand the field work involved figuring out which ones were flowering (two of the three main species are still in bloom), and cataloguing this data in the handy #BauhiniaWatch identification sheets we designed. It was nice to test these materials out, and also inputted the data in our online form, proving any age can participate in gathering real science data. We managed to spot the four main subspecies of bauhinia found in Hong Kong, including the rarer white Bauhinia variegata subspecies. Bauhinia purpurea wasn’t in bloom, but we managed to find a specimen with seed pods that the children fought over extracting the seeds. 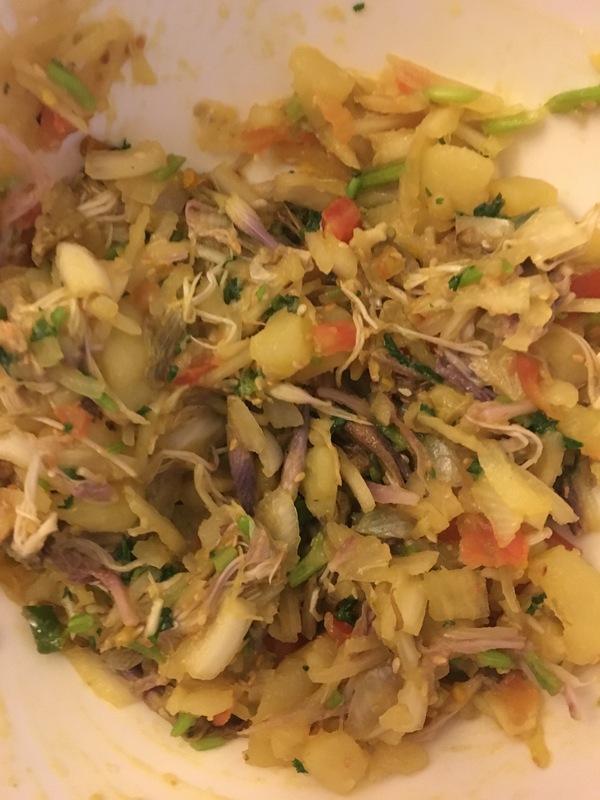 We also collected a lot of bauhinia flowers and cooked these up to test the spicy Bauhinia achaar (pickle) recipe we were kindly given by Nepali chef Jyoti Pathak. It was interesting to see the water turn bauhinia pink, and the end product was delicious (see the picture). 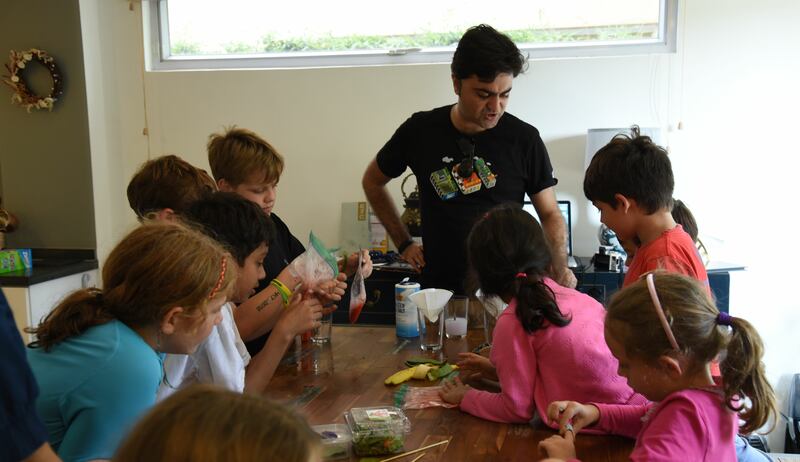 The junior citizen scientists enjoyed themselves greatly, and it was a learning experience for us as well in how we need to adapt our teaching materials for a younger audience. We’d like to thank Leah Ahmad for setting the event up, provide spices, and letting us trash her kitchen. This was just an experiment to see how 7 year olds could get involved with genomics, and it needs some tweaking but it demonstrated it was possible to keep them engaged and participating in this work. We’ll continue to adapt our materials, but even with the materials already here we’d like to encourage others to use it for similar junior genomics fun and games. 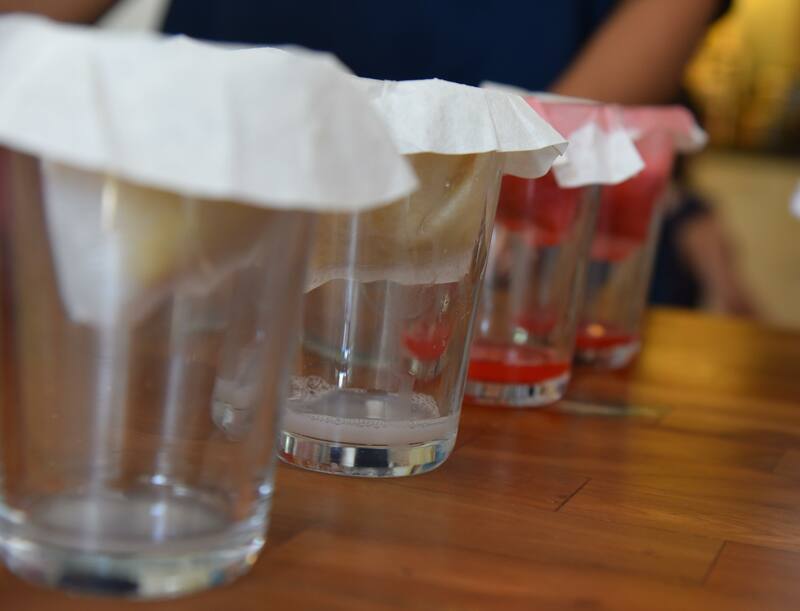 See also this video on DNA extraction that you can carry out at home. Happy DNA Day!